On 26th Dec. we participated in the Boxing Days, where everybody ran through the shops grabbing the best bits, which were given away with relatively low price. We took the bite and now we are richer with many Things. Of course we spent more time that we should and that´s why we left the city only late afternoon. 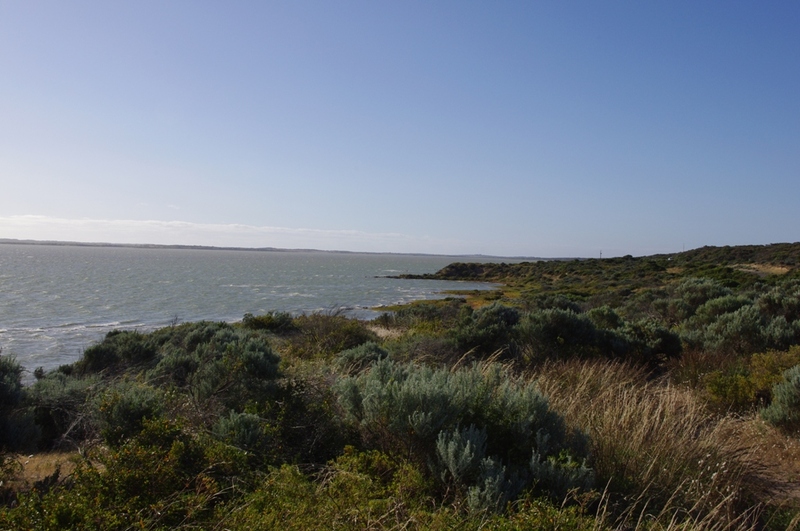 From Melbourne we headed out straight to Geelong and from there to Torquay, where the Great Ocean Road is suppose to start. People call it Great Bitumen Sea Snake, which is really well said – the road has many turns and twists even in mountains. Before every turn frequently stands a sign to drive at a certain speed and usually it is wise to act like the sign suggests. The average speed in mountains was 35-40 km per hour. 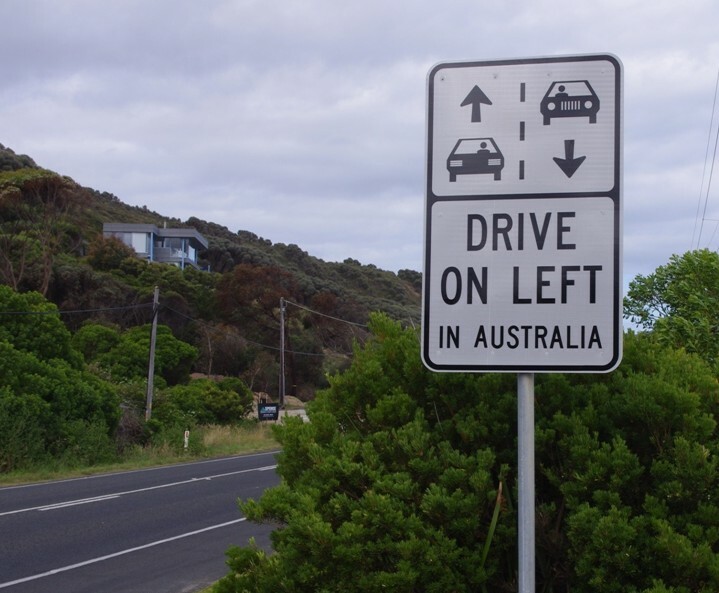 Leaving one parking lot we noticed a clever sign – drive on left in Australia! That was a useful piece of information after driving over 300 km in Australia. After Apollo Bay the road turned away from the sea to the woods, where we could not identify a single familiar tree! The roads were narrow and there was a turn after turn until we got to South Australian state. We bought a thermometer and our doubts has proven to be true – weather is still quite cold (not over 20 C at day time). Plus we have an extra cold wind from the ocean. 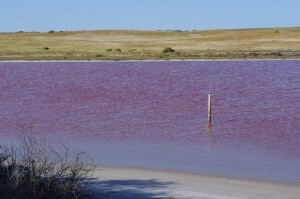 Despite of the cold summer days, some of the lakes beside the roads had dried out! 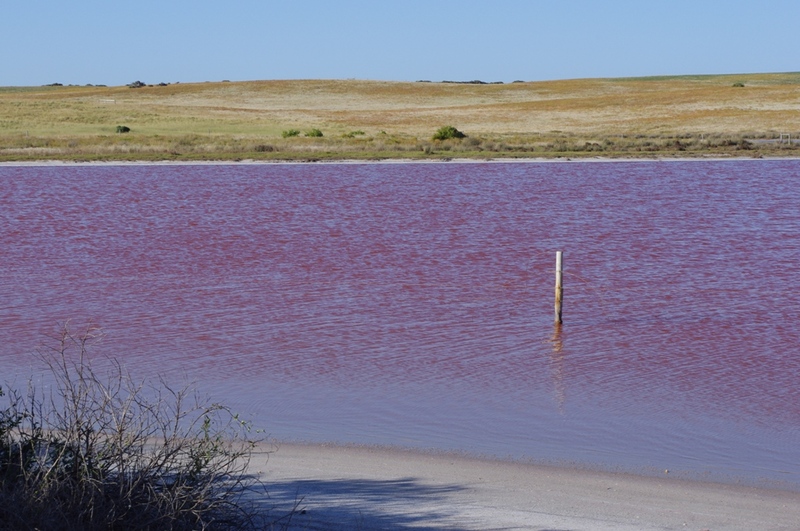 One pink coloured lake surprised us because of its survival! We could not figure out why?! We decided to stop and camp, when we saw an advertise with a big matchstick. This entry was posted in Määratlemata. Bookmark the permalink. Both comments and trackbacks are currently closed.